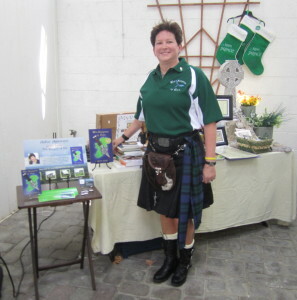 On August 30 and 31 I performed readings in the Irish Pavilion at the Pleasanton, CA 149th Scottish Gathering and Games. 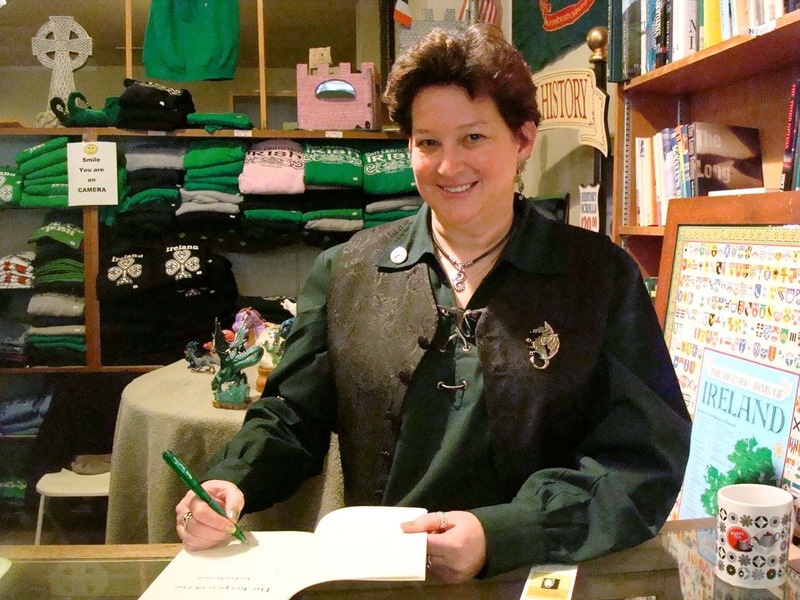 My participation was sort of last minute, so I only brought the ten books I had on hand—five on each day—I sold out! Check out my little display table. 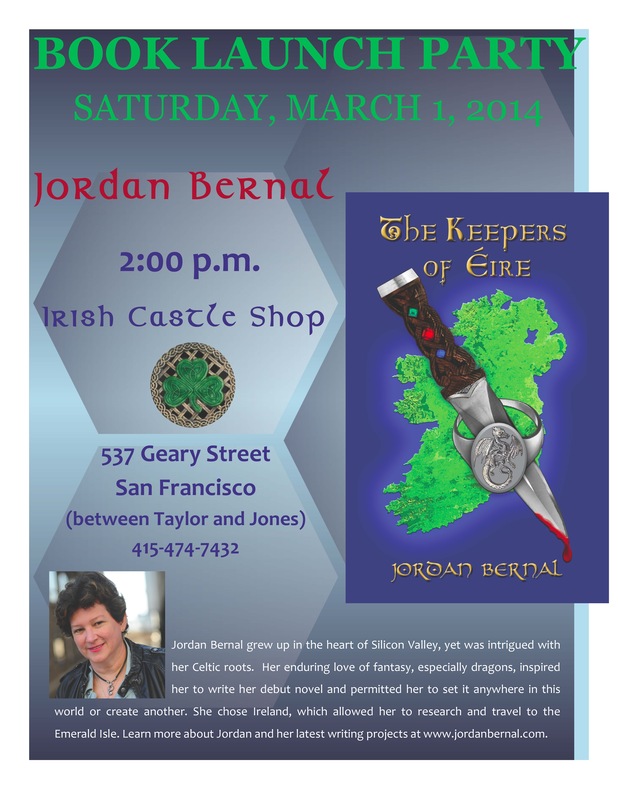 I teamed up with Orla, the Irish Castle Shop owner, who hosted my book launch in March at her shop in San Francisco. 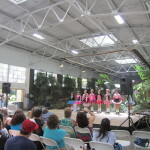 I read in between the Irish dancing performances. The dancers were amazing. 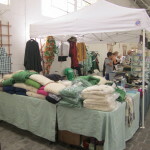 I had a terrific, but tiring, two days. 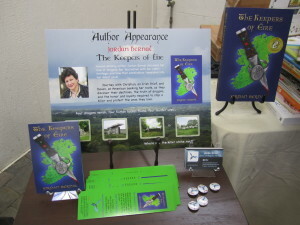 I enjoyed hanging out with some new friends at the clan tents, especially the Fraser tent—the Fraser clan will figure predominately in the next book because of Devan’s heritage on her father’s side.